BASF has been working with Ready for Brexit (the online platform I co-founded last year) as part of its programme to prepare its UK supply chain for Brexit. Here, Ready for Brexit’s editor, Anna Tobin, reports on the workshops that BASF has been running this month for SMEs. The world’s largest chemical business, BASF, has a large network of companies in the UK. Over the last few weeks, it has run a series of workshops for those working in its supply chain to ensure that its UK infrastructure is as ready as possible for Brexit. Of all the UK’s industrial sectors, the chemical industry is likely to be one of the worst hit by a no-deal Brexit. It contributes £15bn annually to the UK economy and it is the UK’s largest manufacturing exporter, with 60% of its exports going to the EU. As the lynchpin of this industry, BASF is doing everything it can to prepare the UK’s chemical industry for Brexit. Working with the Government and in collaboration with every link in its supply chain has been the focus of BASF’s Brexit preparations. BASF has worked closely with Ready for Brexit to highlight key areas for attention to its SME partners. Over the last month, it has run a series of workshops for SMEs in its supply chain involving presentations and question and answer sessions with Government advisors, senior figures at BASF, logistics and customs experts. Bill Bowker, director of transport and warehousing company Bowker Group, which has been working with BASF since 1986, headed one workshop. He explained to his audience that as part of his Brexit contingency planning he has increased his storage space and staffing, obtained ECMT permits and ensured that his drivers have international driving licences and green cards; while he is advising his customers to increase their stock levels and ensure that all shipping information is correct to minimise delays. Abram Op de Beeck, BASF’s customs and foreign trade manager, advised attendees to get an EORI number as soon as possible, to sign up for Transitional Simplified Procedures for customs and to consider appointing a customs agent to simplify the management of their customs declarations. Alun Williams, who is working on EU exit for chemicals and pesticides at the Department for Environment Food and Rural Affairs (DEFRA), explained that the Government is working to ensure that any new UK regulatory systems will mirror the existing EU systems as far as possible to minimise costs to industry. He also said that they were endeavoring to minimise disruption to integrated supply chains for chemicals, will continue to monitor and evaluate chemicals in the UK to reduce the risk posed to human health and the environment; and that they would be maintaining existing standards of protection for human health and the environment. He conceded that businesses looking to operate in the UK and EU markets will have to work with two regulatory systems. To maintain access to the EEA market, UK REACH registration holders will need to transfer their registrations to an EEA-based organisation. And to maintain UK market access to existing UK-based REACH, registrants must sign up to the new UK IT system in the first 120 days of the UK leaving the EU. The other alternative is to ask your EU/EEA supplier to appoint a UK-based Only Representative to ensure UK REACH compliance. Williams explained that to register a new chemical for the EEA market, UK companies must register with ECHA via an EEA-based customer or Only Representative. To register a new chemical for the UK market, UK companies must set up an account on UK REACH IT and register the new chemical. Fiona Hitchiner, senior policy advisor chemicals at the Department for Business Energy and Industrial Strategy (BEIS), pointed people towards the Government’s tariff checker and advised them to review their contracts and International Terms and Conditions of Service to show that they are now an importer/exporter and to establish responsibilities with their suppliers and customers. She also reminded attendees to check whether they could save money and help cash flow by using a duty relief or deferment scheme and reiterated the need to obtain an EORI number and to register for Transitional Simplified Procedures. 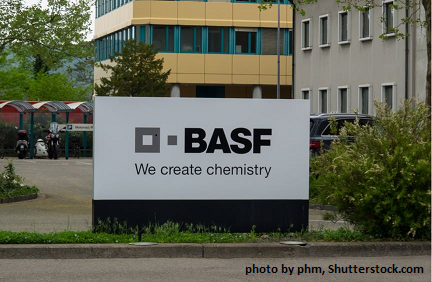 The day-long workshops were full on, but that is why BASF has put on these events. It wants to get the message across that there is a lot to do to prepare for a no-deal Brexit, and that preparation is vital to minimise the expected ill-effects.